Getting from Series A to Series B requires lots of work, planning and grit. Silicon Valley Bank invited Weebly Founder and CEO Dave Rusenko to share his advice as a founder and an investor on how to prep for Series B and asked Khosla Ventures’ Partner Keith Rabois to describe what he looks for before making a Series B investment. Read on to get their advice. And read this related article for tips on becoming a successful Series B CEO. The journey should start with a gut check. Failing in his first Series B pitch, Dave Rusenko, founder and CEO of Weebly, recalls the experience was like going from flag football to tackle. Silicon Valley Bank invited Rusenko to share his advice as a founder and an investor on how to prep for Series B and asked Khosla Ventures’ Partner Keith Rabois to describe what he looks for before making a Series B investment. There’s good reason why Redpoint Ventures partner Tomasz Tungus calls Series B the “hardest round to raise.” Only the strongest companies preparing for Series B have a good handle on product-market fit, as most others are still building out their teams – and all are burning cash. Those companies had median operating expenses 120% higher than revenue. In comparison, Series A companies expenses were 145% higher than revenue. If you spent a week or two slapping together a Series A pitch, set aside a month to six weeks to work full-time on your Series B pitch. 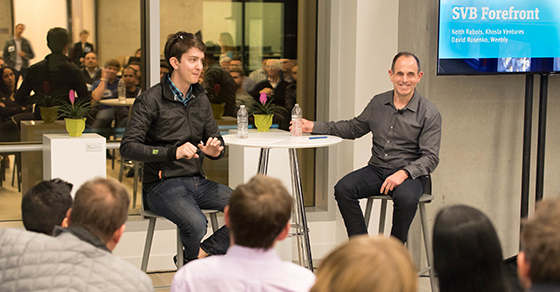 When preparing your pitch, put yourself in Rabois’ shoes: When he’s considering writing a $3 million check at Series A, he expects a good chunk of startups to fail; at Series B, when it’s a $10-$25 million check, he wants to be “directionally right” half to two-thirds of the time. At Series A, investors evaluate how ripe the startup’s target market is for disruption. By Series B, he says, the key question becomes “Is this the team that can pull it off”? The best investors will dive deep for details: They will be far more interested in financial metrics than hearing how your company will change the world, or where it will be in 10 years. What’s changing in the market that benefits your company, and why are you in the best spot to take advantage of it? How scalable are your customer acquisition channels? Why are you the right person to lead this team? Leverage in negotiations is about understanding motives. It often boils down to how much they want to invest in you vs. how badly you need their money. Treat every investor interview like a final exam and practice financial literacy: Nothing sours a prospective investor faster than if you don’t have your financial metrics on instant recall, suggests Rusenko. Rabois also recommends leaving out the exit slide. In fact, he won’t invest if a founder talks about exits at the pitch. While Rabois as an investor gives more consideration to valuation at Series B than A, Rusenko says founders should worry less about it. Instead, he says focus on the value-add of the investor. Picking the right investor may lead to a better long-term outcome than demanding a certain value. A recent SVB analysis found that the median Series B pre-money valuation for 2017 deals stood at $46M, more than 2.5 times the median Series A ($17M) and most Series B round sizes fell between $10M and $24.9M (45%), with 21% of rounds raising more than $25M.